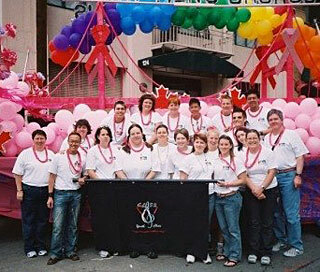 The first North American LGBT youth chorus was formed in Vancouver British Columbus in 2001. Glass Youth Choir is not currently performing but here is a list of current GALA Youth Choruses. Want to recruit youth for your chorus? Check out this video from Diverse Harmony.